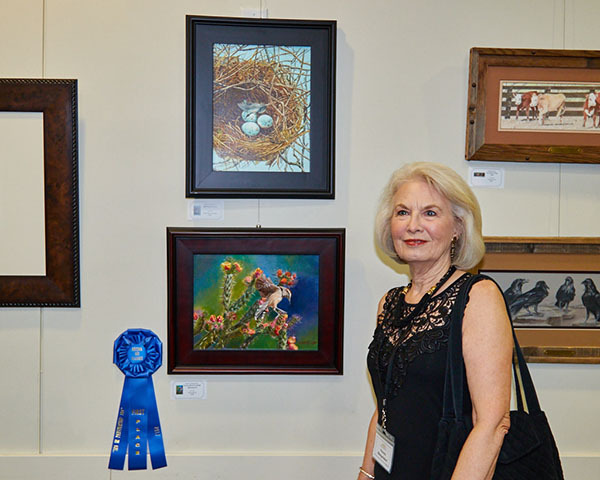 I’m delighted to let you know I recently received the First Place Award in the third annual ART in pARTnership III juried fine art exhibit and sale. This exhibit is sponsored by the Arizona Art Alliance, a state-wide group of nearly 20 of the most prestigious art groups in Arizona. 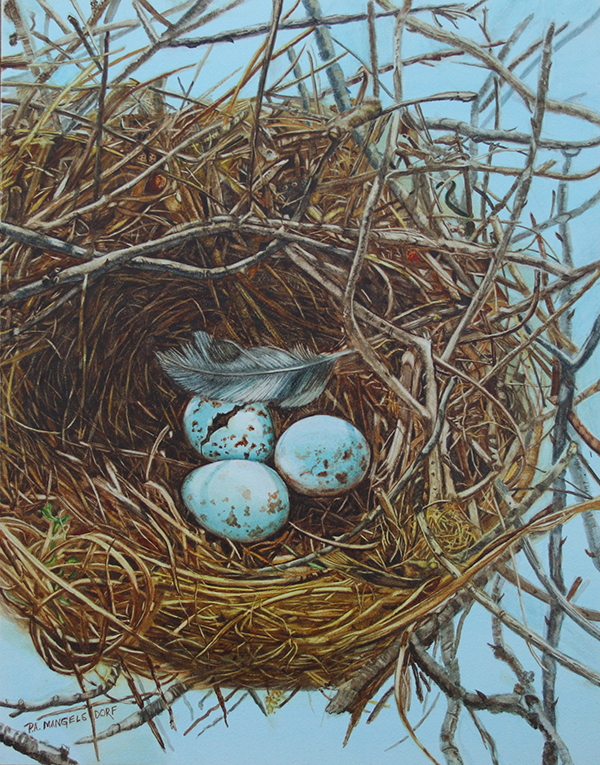 Two of my recent works were juried into the show – “Spring Break” and “Cactus Wren in Cholla Blossoms”. 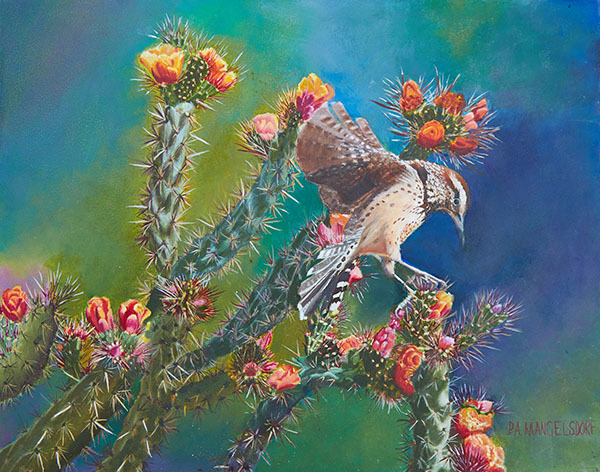 The “Cactus Wren in Cholla Blossoms” painting was awarded the first place prize. I’ve recently been experimenting with oil instead of my usual watercolor medium. The Cactus Wren painting was my first serious work in this new media, and I think I’ll be using oils more and more over the coming months. The exhibit continues through October 26 at the Holland Gallery of Fine Art in north Scottsdale (34250 North 60th Street, Bldg. B, Scottsdale, AZ). I hope that many of you will take the time to visit this exhibit and enjoy a wide selection of the work of some of Arizona’s best artists. Oh Pam!!! I love these new paintings – you have mastered your new medium. Congratulations on getting First Place – and so you should have – The Cactus Wren is GORGEOUS! Wow – I think you are going to be painting some really fabulous paintings in oil. Congratulations again!!! Congratulations on your work. The color just stands out. Looks like you will be doing well with the oil.